The cost of supporting renewables through the Public Service Obligation (PSO) levy continues to increase in line with an upward capacity of renewables and lower wholesale electricity prices. The PSO levy will increase by 23% to €400.9m (€325.3m in 2015/16) from 1 October 2016 to 30 September 2017. The PSO levy was introduced in 2003 to support the generation of renewable electricity, peat power plants and security of supply power plants. The levy is charged to all electricity customers in Ireland. It is used to contribute to the additional costs incurred by PSO-supported electricity generation companies which are not recovered in the market. The PSO levy will accumulate revenue of €1.52 billion from its introduction in January 2003 up to September 2016. It will approach €2 billion by September 2017. See table 1. (Source: CER)* Note: the levy was set to zero from 2007 – 2009 as the level of costs to be recovered relative to administrative costs of collection was too onerous). The levy increased by €233m (+253%) between 2011/12 and 2015/16. This is attributable to lower wholesale electricity prices over this period and higher production of renewables. The MW (megawatts) of renewables supported in 2016/17 will increase by 33% (693 MW) from 2,120 MW to 2,814 MW. This increase in capacity will see support to renewables increase by 53% or €96.7m to €277.6m in 2016/17. The annual cost of the PSO levy to domestic customers since 2003 is shown in figure 1. The annual levy has increased from €21.94 in 2011/12 to €68.20 in 2015/16 (VAT inclusive). The capacity of renewables (mostly wind) increased from 1,564 MW to 2,120 MW over this period; an increase of 36% in 5 years. Domestic customers will see their PSO levy increase by 20.2% or €13.84 to €82.04 in 2016/17. See figure 1. (Source: CER) * Note: levy not collected 2007-2009. The annual levy for small commercial consumers (<30kVA) will increase by 18.5% (€39.66) in 2016/17, while costs for medium-large businesses will increase by 23.5% (€231.90). The levy has increased significantly since 2003, as shown in table 2. (Source: CER) *Note: levy not collected 2007-2009. Figure 2 shows the amount of MW supported by the PSO levy across the categories of renewables, peat, and security of supply from 2011 to 2017. In 2016/17, renewables will account for 92% of MW supported by the levy, with 8% focussed on peat. (Source: CER) *Note: renewables includes both AER and REFIT schemes. The two plants which were supported under the security of supply category no longer qualify for support under the PSO levy, and thus the MW supported in 2016/17 is reduced by 560MW. The MW of peat supported has also declined by 128 MW or 33%, as the Edenderry plant has switched to co-firing peat with biomass. The ending of these contracts will reduce the levy by €55 million below what it would otherwise be. Between 2011 and 2016/17 the MW capacity of renewables supported has increased by 1,250 MW (80%). The renewables include an allowance for Dublin Waste to Energy (a plant to convert up to 600,000 tonnes of waste per year into energy) and Mayo Renewable Power (42.5MW biomass fuelled power plant). The transition to renewables is a key part of our EU target of 40% electricity from renewables by 2020. Approximately 23% of electricity is currently supplied by renewables. 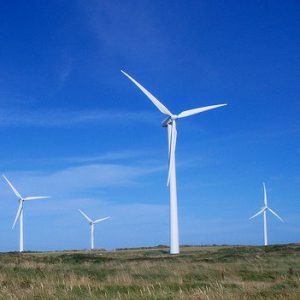 The National Competitiveness Council (NCC) has suggested that price supports for new onshore wind projects should be discontinued in 2017, as the technology is now mature. Standard residential electricity unit rates were reduced by 6 per cent by Electric Ireland from 1 June 2016, representing an average annual saving of circa €58. The increase in the PSO levy will be offset by this decrease in unit prices for many domestic customers. In the period July to December 2015, average electricity prices to businesses in Ireland (ex-VAT) across all bands were 11% higher than in the EU 28; an increase from 9.9% a year previously. However, Band ID (one of three high consumption bands) accounts for 25.4% of the market share and its price per kWh in the second half of 2015 was 6.5% below the EU28 average. Next Article » Budget 2017: Now Is The Time For Tax Reform.